Free and Family-Friendly! No reservation necessary. Now in its 22nd year, Pillsbury House Theatre’s award-winning Chicago Avenue Project returns on December 9th and 10th. The Ball is in Your Court features seven original, short plays written by local youth with Twin Cities playwright mentors, directed and performed by Twin Cities theatre artists. Playwrights mentors involved include Playwrights’ Center Jerome Fellows Casey Llewellyn and Sofya Levitsky-Weitz, as well as Playwright’s Center Many Voices Fellow Marvin González De León. For each round of the Chicago Avenue Project, a theme is chosen based on a phrase or idiom, which is then incorporated into the script of every play. This winter’s theme, “The Ball is In Your Court,” was selected by the kids. This spring’s lineup includes plays about scary vacuum cleaners, bacon soup, unicorns, and more. The Chicago Avenue Project partners neighborhood kids with a team of three adult volunteers: a playwright mentor, a director, and two actors. The playwright mentors help each kid write a 10-minute play about whatever their heart desires, and then the director and actors create the performance. The experience culminates in three public performances. In addition to the performances, Chicago Avenue Project youth also help to develop the show’s publicity materials and decorate the props. A few of the students work alongside our Production Manager and learn how to use the light and sound board for the show. PLAYWRIGHTS: Marvin Gonzalez, Shannon TL Kearns, Casey Llewellyn, Michael Rogers, Max Sparber, AnaSofía Villanueva, Sofya Levitsky-Weitz and Emily Zimmer. DIRECTORS: Tyler Olsen, Blayn Lemke, Stacy Schultz, Carolyn Pool, Maxwell Collyard, Matt Sciple and Leah Cooper. ACTORS: Sulia Altenburg, Sarah Brown, Megan Burns, Jay Eisenberg, Yvonne Freese, Emily Grodzik, Matt Guidry, Ashley Hovell, Seniz Yargici Lennes, C. Michael Menge, Erin Roberts, Natalie Walters, Melanie Wehrmacher and Andrew Wheeler. PRODUCTION STAFF: Chicago Avenue Project Artistic Director – Emily Zimmer, Stage Manager – Elizabeth MacNally, Tech Director – Kurt Kwan, Costume Design – Amber Brown, Sound Design – Andrew Mayer, Lighting – Mike Wangen, Props – Michael Jerome Folliard-Olson, Background Slide Design – Patricia Anderson, Voice Over – James Williams, Music – Jen Scott. 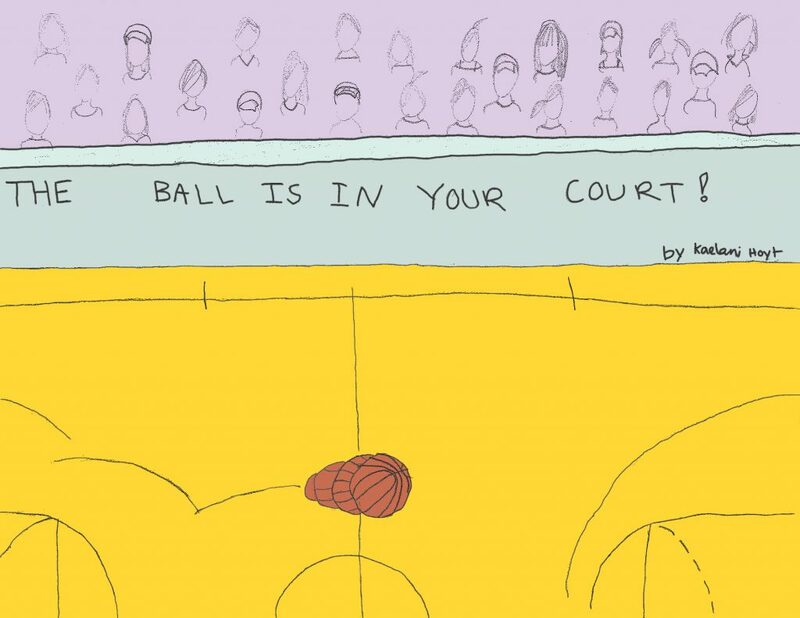 The Ball is in Your Court will premiere at Pillsbury House Theatre, 3501 Chicago Avenue South, Minneapolis, on Sunday, December 9th at 7:00 pm and Monday, Decembert 10th at 4:00 pm and 7:00 pm. All performances are free and open to the public. No reservations are necessary.